Successfully Added Xiaomi Wireless Bluetooth Gamepad - Three-Axle G-Sensor Function, Double aMotor Vibration, Compatible With Android Devices to your Shopping Cart. Experience mobile gaming like never before! Take your mobile gaming and entertainment experience to entirely new heights with the Xiaomi wireless Bluetooth gamepad. This game controller allows itself to be wirelessly connected to the majority of Android devices out there, letting you experience mobile games like never before. 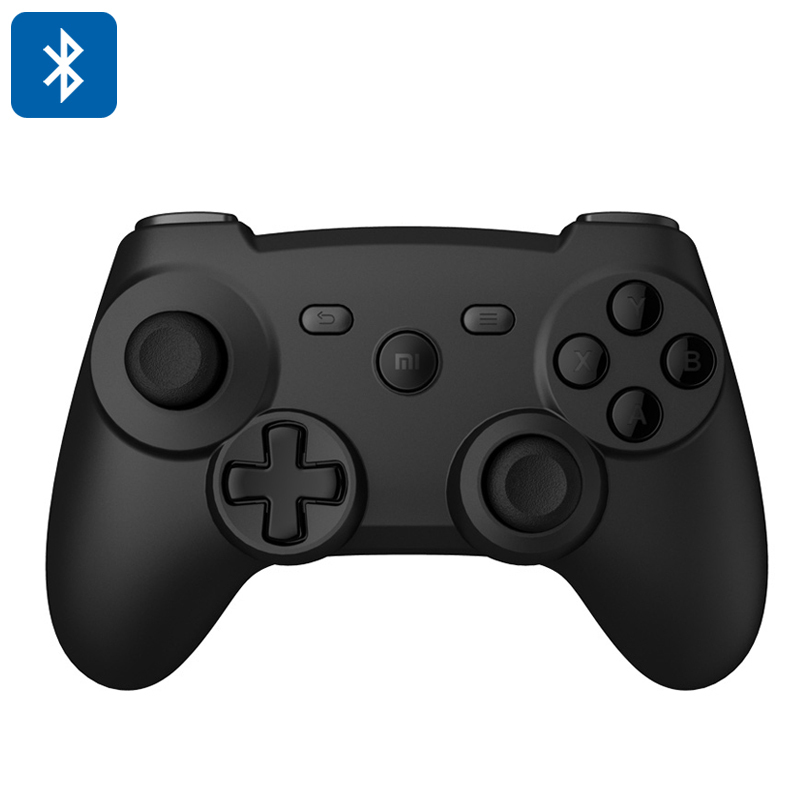 Featuring a durable and stylish all-black design, this wireless game controller from Xiaomi is not only extremely tough but also a feast to the eye. Its design has been carefully considered, assuring that each control button has been placed at the optimal location in order to fully enhance your user experience. Playing your favorite smartphone or tablet games on a touch screen is fine for casual games, however, with the Xiaomi Bluetooth controller at hand you’ll be able to experience driving, shooting, and action games at a whole new level. Featuring dual vibration motors that have been placed at the left and right side of the gamepad along with a Bosch G-Sensor with three-axis gravitational acceleration, this wireless Xiaomi controller lends something to your gameplay you just can’t get while enjoying your favorite games via your phone’s or tablet’s touch screen. Besides the realistic gaming experience it provides when paired to your Android smartphone or tablet, this Bluetooth gamepad furthermore is compatible with all Windows laptops, Computers, and TV boxes out there. Not only does this allow you to upgrade your overall gaming experience on any imaginable platform, it additionally provides you with a comfortable and high-speed controller that can be used to efficiently browse through all your Apps and programs on your TV box. This high-quality Xiaomi gamepad has been designed with the demands and wishes of pro gamers in mind. Not only does it feature a sleek body with extremely comfortable and stable grip – its buttons have also been placed in such way to fully optimize your gaming capabilities. Grippy rubber tops on each of your control buttons provide you with great control over your gamepad while their smooth and glossy bottom finish allows your buttons to move around effortlessly in any direction. The D-Pad of this portable Xiaomi gamepad additionally features four positioning balls for greater accuracy when rotating them 360 degrees – providing you with great control over your gameplay while enjoying your favorite games on your tablet, smartphone, or laptop. The Xiaomi Bluetooth game controller is perfect for all mobile entertainment lovers out there that wish to enhance their gaming experience – making it truly a product to keep in mind during your upcoming search for the ultimate wireless gamepad. Available now at Chinavasion, the Xiaomi Bluetooth gamepad comes with a 12 months warranty - brought to you by the leader in electronic devices as well as wholesale electronic gadgets..
Arabic: - غمبد بلوتوث - Chinese Simplified: - 蓝牙游戏手柄 - Czech: - Bluetooth gamepad - Dutch: - Bluetooth gamepad - French: - Manette Bluetooth - German: - Bluetooth Gamepad - Hebrew: - ידית משחק עם Bluetooth - Hindi: - ब्लूटूथ gamepad - Hungarian: - Bluetooth gamepad - Italian: - Bluetooth gamepad - Japanese: - Bluetooth のゲームパッド - Korean: - 블루투스 패드 - Malay: - Pad Bluetooth - Norwegian Bokmål: - Bluetooth gamepad - Romanian: - Bluetooth gamepad - Russian: - Bluetooth игровой контроллер - Spanish: - Gamepad Bluetooth - Thai: - เกมแพ็ดบลูทูธ - Turkish: - Bluetooth gamepad - Vietnamese: - Tay chơi Game Bluetooth.